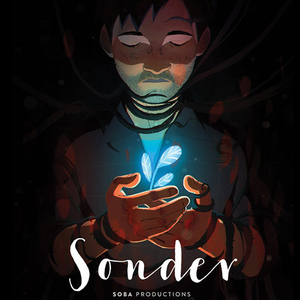 Gallery Nucleus is proud to present a special screening and artist panel of the new animated short film, Sonder. This is your chance to attend Sonder's first gallery show, featuring artists from all over the world. Sonder tells the story of Finn and Natalie, who for years walked the same path. But when their time together comes to an end, Finn suddenly finds himself lost in a mysterious land. Join us at Gallery Nucleus on Saturday, October 6th, 2018 (6-10pm) and bring your questions for the Sonder art team as they share their experiences in making the film. Tickets are limited, and available on Eventbrite. Each attendee will receive a free Sonder poster, while supplies last. With Sonder, we really wanted to push the boundaries of animated storytelling, not only by exploring themes that are mature and complex, but also by creating a distinct look for the film. We also chose to break new ground with our production process; Sonder is one of the first animated films to employ real-time rendering with the Unity game engine, which made our editing and production workflow far more efficient. Sonder is directed by Neth Nom, and produced by Sara K. Sampson.